Syfy"s The Last Sharknado: It"s About Time (2018) is set to premiere on SYFY on August 19, 2018; at 8:00 am EST. 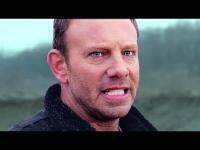 This "final" Sharknado has Fin using time-traveling powers to defeat the Sharknados and save the world finally. Synopsis: Our hero Fin (Ian Ziering) has battled sharks all over the globe, but in this last installment he will tackle the final shark-tier -- time travel. In the ending moments of SHARKNADO 5: GLOBAL SWARMING, Fin was seen wandering alone on Earth after it was destroyed. Now he must travel back in time to stop the Sharknado that started it all. Will Fin and the gang be able to set everything right and save the world once and for all? A production of The Asylum, THE LAST SHARKNADO: IT"S ABOUT TIME is directed by Anthony C. Ferrante, based on an original screenplay by Scotty Mullen.